Situated in Scamander, this campground is within 1 mi (2 km) of Scamander Beach and Winifred Curtis Scamander Reserve. Scamander River Golf Club is 1.3 mi (2.1 km) away. Situated by the ocean, this apartment building is within a 15-minute walk of Scamander Beach and Scamander River Golf Club. Winifred Curtis Scamander Reserve and Percy Steel Reserve are also within 12 mi (20 km). 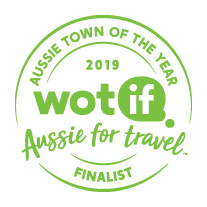 We’ve crunched the numbers, looking at pricing, demand and all-round awesomeness, and it’s official – Scamander, TAS, is a Finalist in Wotif’s Aussie Town of the Year Awards 2019. The Aussie Town of the Year Awards recognise top Aussie destinations that offer travellers great value for money, fantastic experiences and excellent accommodation options. 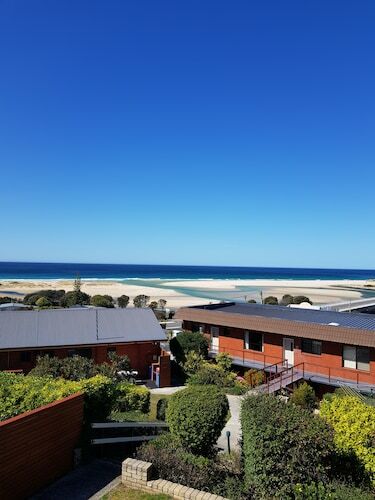 With its wide sandy beaches, beautiful ocean views and riverside retreats, it’s obvious why Scamander was a top pick for the top ten. A quaint town resting at the mouth of the Scamander River, Scamander is a hotspot for travellers and locals alike in Tasmania thanks to its wide sandy beaches and beautiful ocean views. Surrounded by forest reserves, you won’t find a better seaside escape or fisherman’s paradise. Choose from our range of fantastic Scamander hotels and enjoy your stay in this remote paradise. A great way to take it all in is to take a walk along the banks of the Scamander River – there are fantastic trails for both hiking and mountain biking. Bring a packed lunch and enjoy the green scenery and picnic facilities, or fire up one of the BBQs for a wonderful afternoon at the park. Finish up a lazy afternoon with a bit of fishing, throw a line in and try to catch one of the famous Scamander River bream for yourself. Golfers need to take advantage of the picturesque Scamander Golf Club, a fantastically well maintained course that offers great views across the township. The beaches here are amazing, perfect for surfing at Four Mile Creek, or for swimming with your family anywhere along Steels, Wrinkers Beach or Beaumaris. During the migration season visitors can spot dolphins and whales, and be sure to check out the town’s most infamous icon, the town bridge, which has been destroyed and rebuilt many times over the course of Scamander’s history. Just outside of town you are spoilt for choice. Check out the beautiful variety of wildflowers at the Winifred Curtis Reserve, or gaze at the tallest Australian white gum trees in Evercreech Forest Reserve. Eureka Farm lets you feed the animals and pick your own fruit, and finish the day with spectacular views from Skyline Tier Scenic Lookout. And whatever you do, don’t miss St Columba Falls, the highest off all waterfalls in Tasmania. 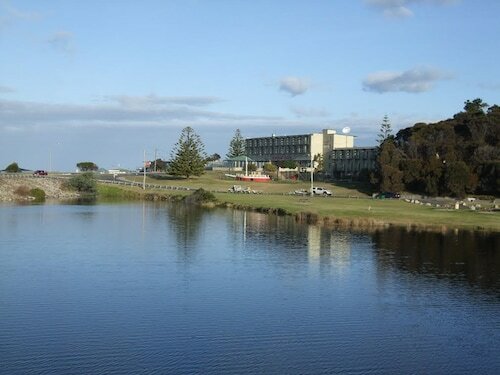 A perfect base to explore this end of Tasmania, Scamander is also one of the most charming seaside towns in Australia. Take in the splendour of beautiful beaches, untouched forests and friendly locals – it’s a fantastic spot to unwind. 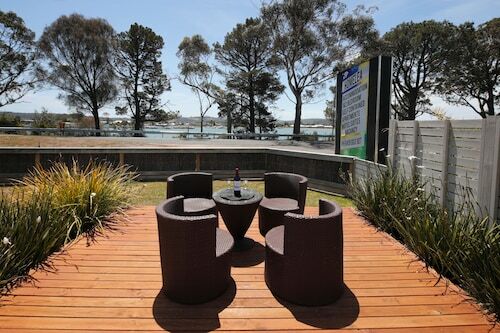 Just 146km from Launceston and 235km from Hobart, find and book your perfect Scamander accommodation today, and really enjoy your next seaside holiday. How Much is a Hotel Room in Scamander? 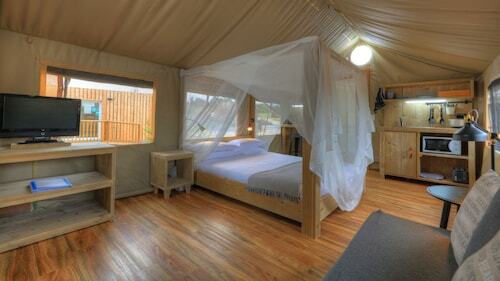 Hotels in Scamander start at AU$100 per night. Prices and availability subject to change. Additional terms may apply. Great experience. Tent was absolutely spotless and had all the amenities of a hotel room. Shower facilities were lovely and clean, and shower was really powerful with lovely hot water. Sat out by the tent in the evening and used the wood provided to make our own fire using the stove outside the tent. Great beach 5 minutes walk away. Very friendly and helpful staff. Would stay again in a heartbeat. Highly recommend this place. Perfect for a one night stop for our family. Very clean, warm and well equipped. tv is outdated only one channel..............meals where very good and plenty of it.